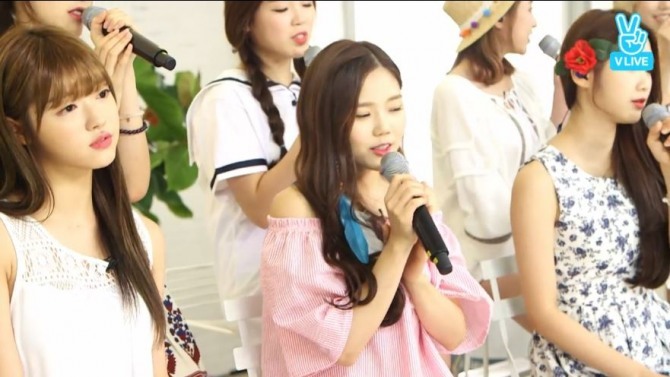 Eight-member K-pop group Oh My Girl took to the V app to sing a medley of songs live on Sunday. It released its EP “Summer Special” on Monday, featuring four covers of classic K-pop songs. In line with the occasion, the group sang a live medley of the covers. They showcased their harmonious vocals, and many fans expressed support for them by praising their singing.